If you’ve got adventure in your heart, let the 2017 Jeep Cherokee for sale in Wabash come along with you as you start your next journey. Our dealership is proudly serving Wabash Indiana with the best deals around so you can get an amazing vehicle with less money down. You’ll enjoy a trail-rated vehicle that is powerful enough to get you out of most any situation and comfortable enough to ensure you enjoy the trip. This vehicle is designed to give you more than you ever thought possible. Explore the exterior and you’ll discover the beautiful LED lighting, a sculpted and muscular design and a rear tailgate that gives this vehicle a striking appearance. The best features are included, and you’ll get roof rails to help you carry more by adding some luggage to the top of your vehicle. The exterior accents provide your vehicle with an exceptional level of design and the dual chrome exhaust tips give the vehicle a sophisticated look. Finishing touches like a seven-slot grille and wheel arches that use a trapezoidal design will give you a vehicle that is beautiful and striking. The 2017 Jeep Cherokee for sale in Wabash is designed to help you get the best possible exterior features to help you achieve your goals. You’ll be able to experience soaring new heights with the tough and rugged design of this exceptionally well-made vehicle. Come down and get yours today from your dealership serving Wabash Indiana residents. With an award-winning interior, you’ll get an unparalleled experience driving your new Jeep. High-tech features include hands-free technologies that will enable you to more effectively manage your media and navigation system. The interior comes with plenty of cabin space and folding seats to make it possible to carry larger gear with you inside the cabin. The vehicle is designed with the ultimate in flexibility and adaptability so you can enjoy a more fluid storage situation that will adapt to your needs. Enjoy support for Android Auto and Apple CarPlay so you can use your preferred technology with this vehicle. Your Wabash Jeep dealership has the Jeep with the interior features you need to be more comfortable and active. When you come to our dealership to get the 2017 Jeep Cherokee for sale, we can set you up with some of the best Jeep Cherokee specials to help you get more accomplished in your life. As if the aesthetic beauty wasn’t enough, this vehicle is designed to play as hard as you need it to. You’ll get the exceptional capability to enjoy a vehicle that will help you go anywhere. It’s trail-rated and comes with features like standard skid plates, aluminum wheels and outstanding capability. Tow hooks are essential if you plan to conduct any off-roading adventures and ground clearance that makes it possible to easily handle rocky situations. 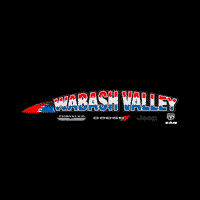 We want to be your preferred Wabash Jeep dealership, and we will help you get a vehicle with the capabilities you need to get more done with your day. When you choose our dealership, you’ll be able to get an amazing 2017 Jeep Cherokee for sale at a good price. Our Jeep Cherokee specials are designed to help you get the best vehicle possible. Choose your poison with the option of two different engines. The 2.4L Tigershark engine gives you 184 horsepower and 171 pound-feet of torque. This is the ideal option for someone who is more concerned with fuel efficiency and doesn’t need the ultimate in power. The 3.2L Pentastar V6 engine offers 271 horsepower and 239 pound-feet of torque. While this engine offers additional power, it’s still highly fuel-efficient and will help you get exceptional functionality and capability. This engine also makes it possible to tow up to 4,500 pounds. The 2017 Jeep Cherokee for sale in Wabash is designed with an engine that simply won’t quit. This vehicle works as hard as you do, and you’ll be able to find a model with the right options when you come down and see out dealership serving Wabash Indiana residents. Don’t wait, the time is now to get a new vehicle. Anytime you get behind the wheel of a vehicle, safety and security always come into play. This vehicle offers all of the standard passive and active features. You’ll get airbags, a reinforced safety cage, stability control and traction control to keep you safe on the road. You’ll also get modern features with the accident avoidance system that helps you stay in your lane, avoid a forward collision and keep tabs on your blind spots. There is also the option to add parking assistance features to help you get even more control when backing up. Come see all of the safety features for yourself when you visit our Wabash Jeep dealership and take home one of our 2017 Jeep Cherokee for sale. Our Jeep Cherokee specials are exclusive and will help you get a better deal and more options on your next vehicle purchase. If you aren’t sure what options to add, we can help you with that too. The 2017 Jeep Cherokee for sale in Wabash is designed to help residents serving Wabash Indiana get a vehicle they can be proud of. When you come down to our Wabash Jeep dealership, you can check out our selection of vehicles and get the best possible 2017 Jeep Cherokee for sale thanks to our amazing Jeep Cherokee specials.